That confidence I've found only in those brewers that I think are among the best: they feel so confident about their intuition, skill and knowledge when doing their job, that they talk openly about it, unafraid to share his experience with specific processes or ingredients. People who have understood that they're different not because they're called "craft", but because of this exchange and common feeling, coupled with the desire to provide the best possible product. It was one of these people, Carlos Rodriguez, who told me over some beers early in summer that Kjetil was leaving Nøgne Ø. A few days ago he had sent an email to his friends in the beer scene, accompanied by a manifesto that was also published on social networks but with little impact outside Norway. Kjetil and Carlos, chatting and having fun during Barcelona Beer Festival 2012. In times like this, when our local beer scene is strengthening while beginning to take important steps towards greater professionalism, it seemed interesting to me to share this compelling and emotional text written by Kjetil: another great declaration of principles. (The text that follows, in italics, has been published with the permission of its author, Kjetil Jikiun). The real world is all about money. Anyone who ignores this is naive, stupid and has no future. Everything that over time is not profitable is dead. This is an axiom: anyone who does not recognize this has few chances to succeed. This is the basis for what follows. Do not forget it! I had a dream of changing the world. In a good way. With the best there is: good beer. Good beer is a human right. People need good beer. Good beer is about expectations. It is the total joy at the first sip. It is the frame around a good conversation. It is unsnobbish fraternization and the bridge-builder between people. 1. You cannot hold a good man down! 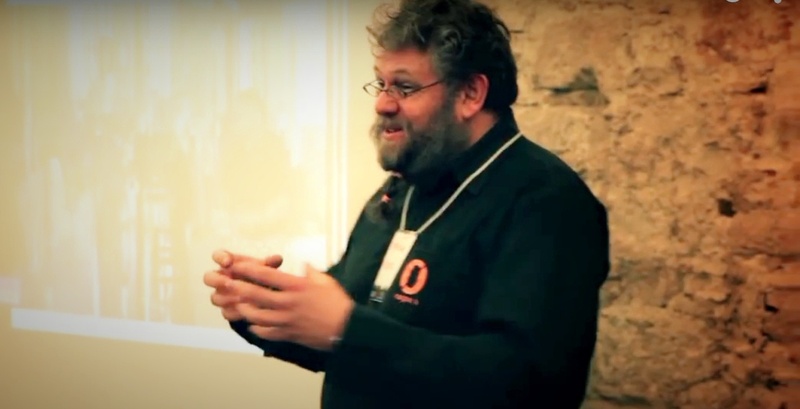 Iain Russell, who runs Charlies in Copenhagen and The Wharf in Aalborg, had an important message for us at the beer festival in Copenhagen in 2003: "You have to remember that you are making and selling beer. You are not selling earthmoving equipment!". What did Iain mean by that? That craft beer is not just about beer. And it is not about business and transactions. No, craft beer is all about feelings. And people. And I had a dream to change the world. Change the world by changing people. By moving them. People are not moved by the transactions. They are moved by feelings. I had a dream of creating an organization in which everyone involved was proud and passionate. Totally overwhelmed by the love of and respect for good beer. Where feeling and commitment in itself would be recruiting and selling to people and customers. I had a dream of creating an organization that glowed so much of everyone's commitment so that all customers, restaurants, bars and shops would love to cooperate with us because we would be the most pleasant, would give the best service, would have most information and would be the best. 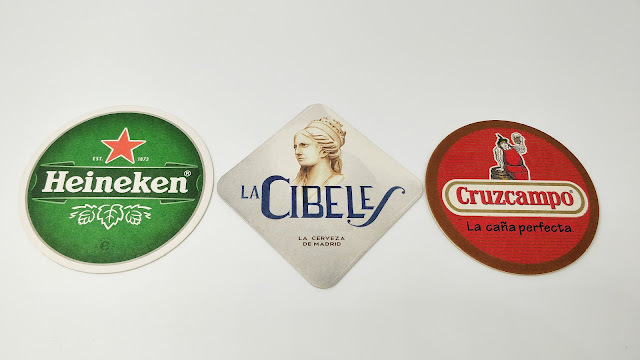 I had a dream of creating an organization where the beer would be in the center. And where the passion would be so strong that the term "good enough" could not exist. Because everyone would constantly concerned about how everything could be improved. But our service to customers. And how we would appear. And how we would convince the world with our energy and charisma. All this should make us different. And the best. I had a dream of creating the perfect beer, conveyed to the world by the perfect organization, where only the best people would be working, where everyone would work towards the same goal. I had a dream of creating a global brand. Powered ahead by the most ambitious team on our planet. I had a dream to create something that was so different that the organization itself would be noticed and respected even far beyond the beer. I had a dream to create something so unique that no one else could be perceived as real competitors. Simply because they would work in a regular ways and would be ordinary and average. I had a dream of making all shareholders and employees rich. Not only rich in pride and joy, but also in terms of money and wealth. For so strong was my faith in the perfect organization and product, that it would also be a recipe for making money. Once we were on our way. We were actually on our way to become everything I dreamed about! But then somebody introduced some new values. Not through discussions, meetings or documents, but through agreements in small forums: by phone, or over the dinner table. These were: Good Enough. Mediocre. Average. Normal. Common. Careful. Slow. Calm. Safe. Predictable. This was a new phenomenon. To my amazement, these new values were applauded, and over a relatively short time, the original mindset was replaced. Creativity was perceived as disturbance. Dynamism was perceived as impatience. Being different was perceived as a risk. Perfectionism was perceived as a cost. Compromise was seen as inflexibility. Initiative was perceived as dangerous. And I discovered that the dream I had, was no longer on track to be materialized. Or put another way: Nøgne Ø The Uncompromising Brewery was changing into Grey Ø The Average Brewery. My friends, Man's most important and best tool is his conscience. It enables us all to navigate and maneuver right when we are in difficult situations. In this situation, I decided to listen to my conscience. I could not work for other people to realize their dream, totally on opposite course with my own. I had to be loyal to my own dream and vision. And therefore we are here today: towards a schism, where I leave Nøgne Ø. This will probably be good for ... “New Nøgne Ø". My departure will lead get less noise and the management can sharpen its efforts to perfect Nøgne Ø to be ordinary, calm, predictable and safe. Unlike current owners, board of directors and management, I do not think that this will lead to something good. Neither of products, people, or bottom line. But because of my strong solidarity to those who are left in Nøgne Ø, I have to say that I hope that I'm wrong. So what about my dream? Yes, I still have a dream. It is perhaps a little smaller than it used to be, but I refuse to be influenced by an average world. I choose to continue to live out my dream! And that's how Kjetil decided to leave everything to go and live with his wife in the beautiful island of Crete, where he has just taken his first step in this new path that will take him to his dream. 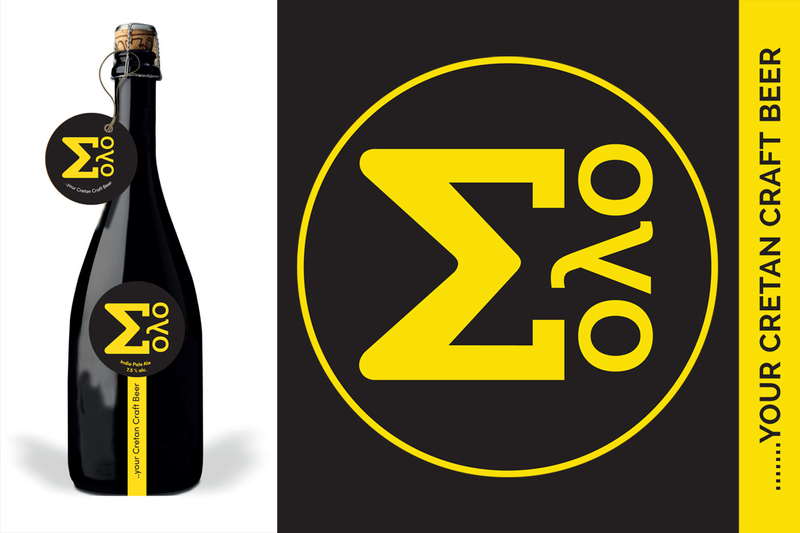 He's recently launched his new venture, Grapes and Gratification, which will be devoted to producing orange wine, kimoto sake and "uncorrupted craft beer," which will be branded "Σολο, your Cretan craft beer". I have no doubt that we will soon receive good news from Greece. 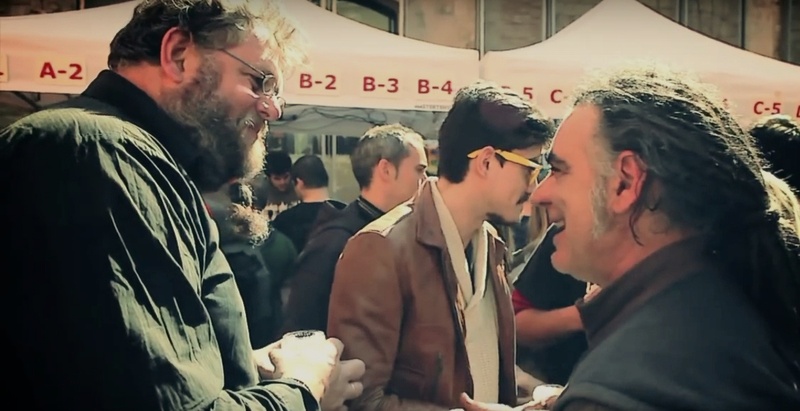 Note: The pictures published, except for the branding of Grapes and Gratification, are taken from the official video of the Barcelona Beer Festival 2012, recorded by Dani Ruiz Esquiroz. Inspiring Stuff. Know Someone Who Now Lives in Crete. People Say They Have Never Had a Good Pivo in Crete. Could Be Something Very Good. Wish Them All The Best. Thanks for your comment, Terry. It really is inspiring, hopefully also to those who might find themselves in similar situations in the future. I'm sure your acquaintance will have a very fine choice as soon as Kjetil's beer hits the market.